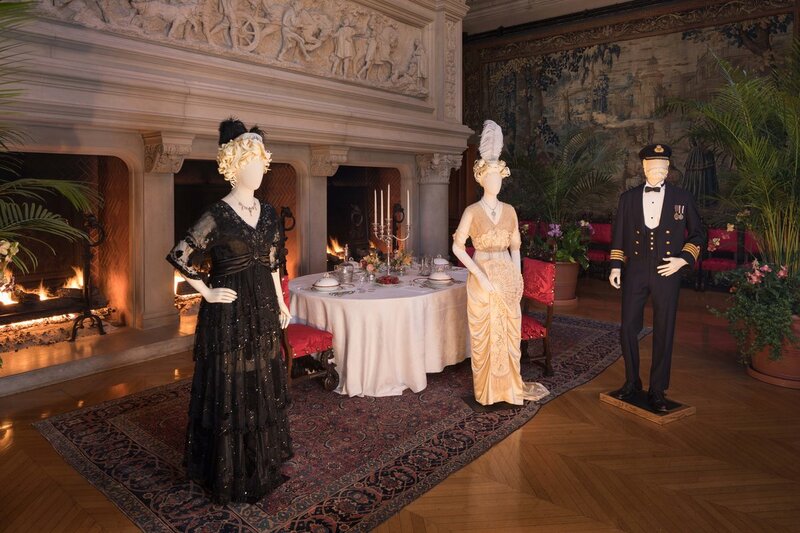 The first large-scale exhibition of fashions from “Titanic,” the Oscar-winning film that celebrates its 20th anniversary this year, launched at Biltmore House in February. 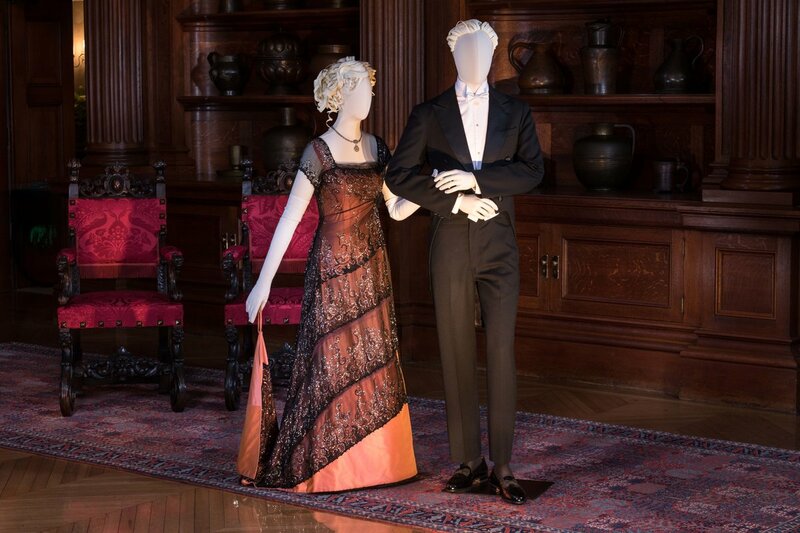 “Glamour on Board: Fashion from Titanic the Movie” is on display through May 13, and represents the extensive wardrobes preferred by transatlantic travelers like George and Edith Vanderbilt in the early 1900s. 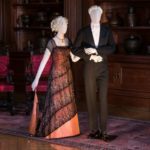 Guests will learn more about the Vanderbilts’ extensive travels while viewing these award-winning costumes. 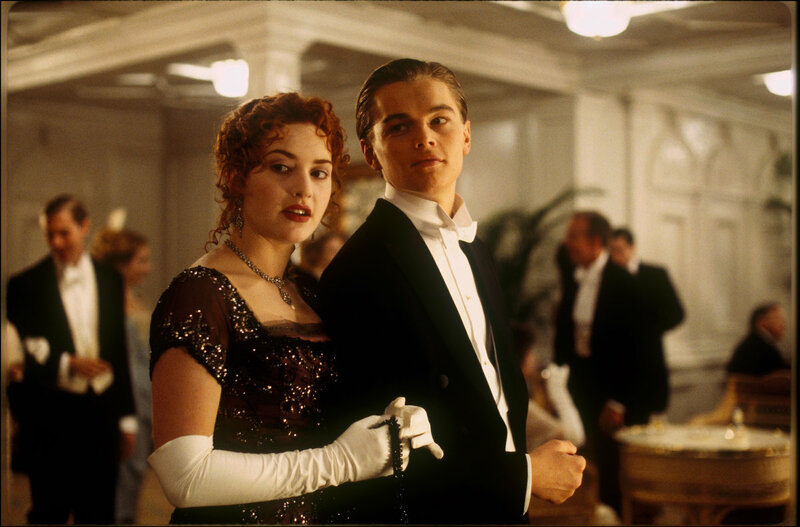 “Titanic,” starring Leonardo DiCaprio and Kate Winslet, won a record 11 Oscars, including Best Picture and Best Costume Design. 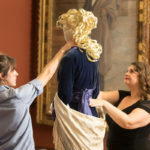 The exhibition’s 45 costumes will be displayed in Biltmore House, evoking the lifestyle of the era when voyages on great ocean liners of the early 20th century offered luxury on ships known as “floating palaces.” First-class passengers took every opportunity to see and be seen in the fashions of the time, from strolling the promenade deck to dining at elegant formal dinners. 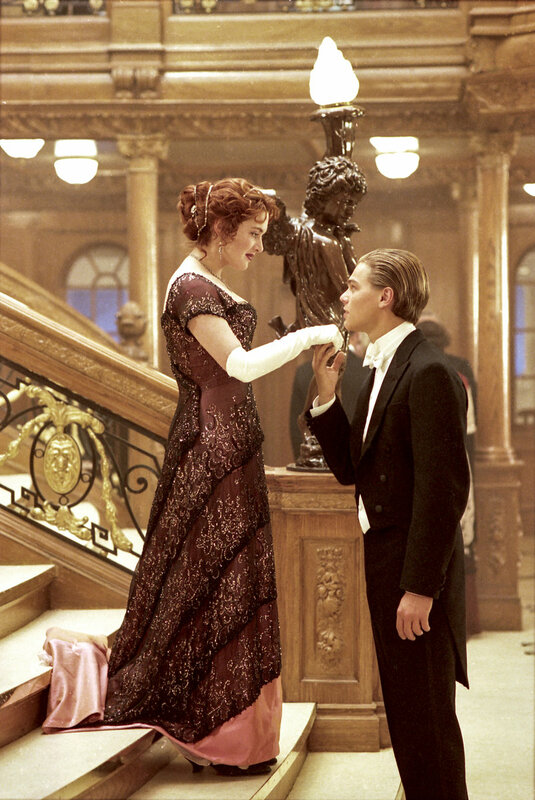 And, just like in “Titanic,” the days at sea fostered friendships and romances, including George Vanderbilt’s courtship of Edith Stuyvesant Dresser, who met while sailing on a transatlantic voyage, a veritable “floating palace,” just like when Jack met Rose in the movie. 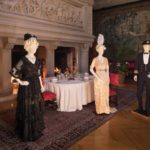 LeAnn Donnelly, Biltmore’s Senior PR manager, recently shared about the wardrobe from the iconic film with the public, especially breathtaking in the Biltmore House. 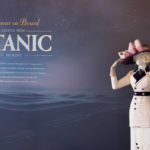 Donnelly noted that the Vanderbilts were initially booked to sail aboard the Titanic, though as fate would have it, they cancelled the trip and scheduled a voyage on the Titanic’s sister ship for a later date. The clothing in the film matches up with the time perfectly. 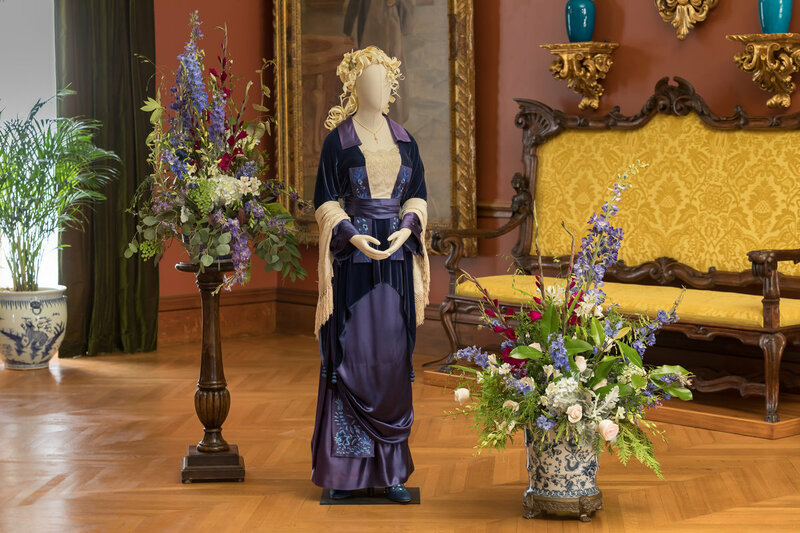 When the Vanderbilts entertained, their guests—who would visit for weeks at a time—would have been adorned in similar attire. 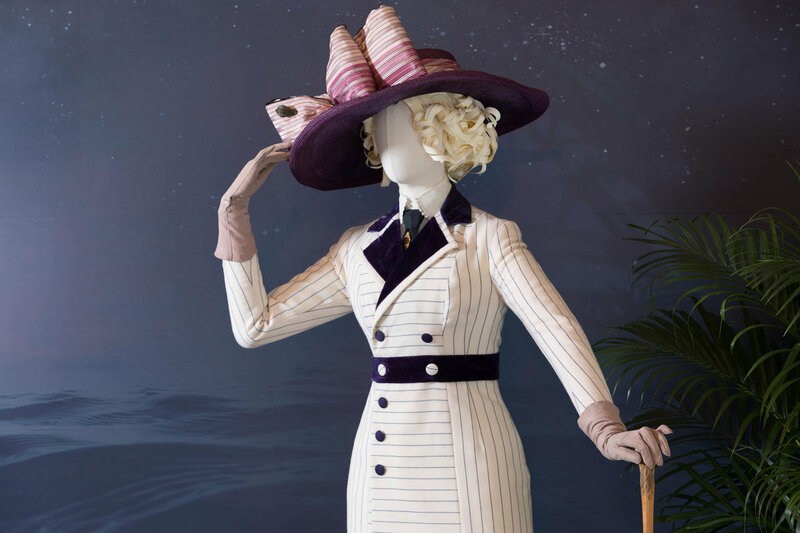 The elaborate outfits truly come alive in the space! 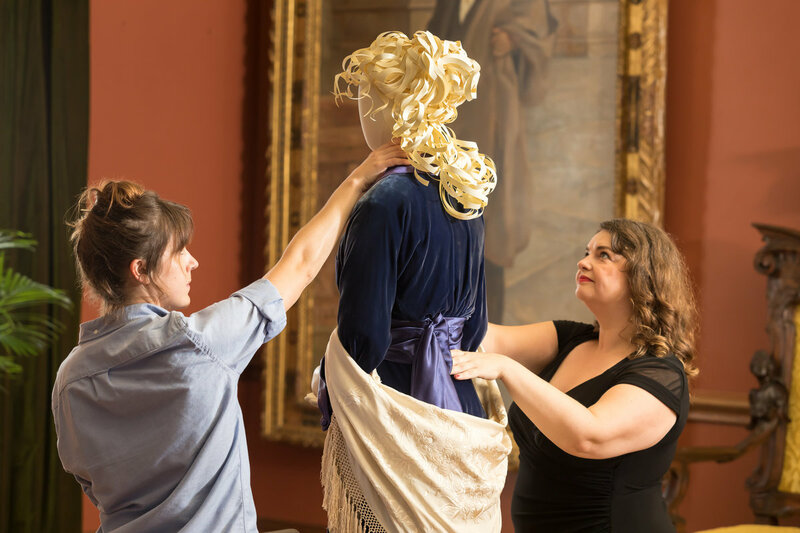 “Having the fashion from the era really helps you imagine the timeframe,” says Donnelly. The fancy formalwear is what they would have worn for dinner. 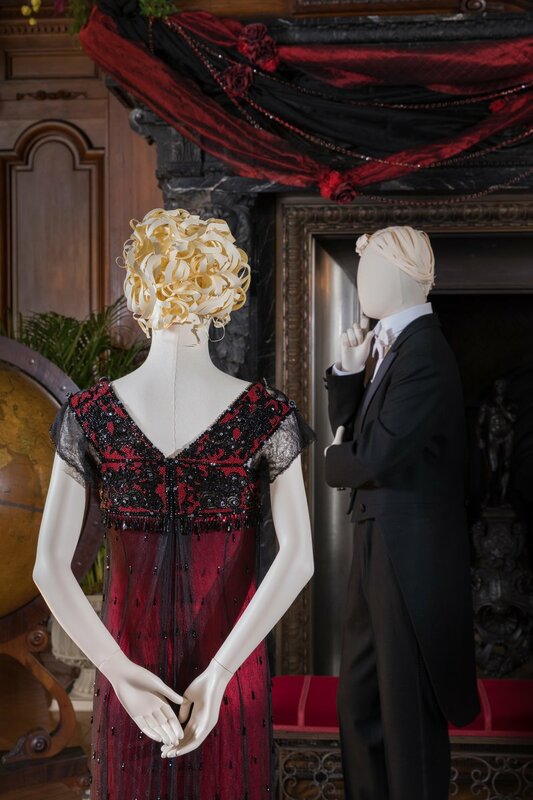 In fact, the second floor living hall where guests would have gathered to mingle before dinner is the setting for six costumes. They are displayed throughout the house in groupings of one to seven. 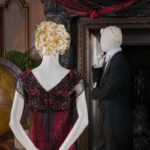 This is the fourth costume exhibit at Biltmore, Donnelly says, gushing about the popularity of the first one, based on the wardrobe of Downton Abbey. “Costumes bring the house to life even more!” she says. 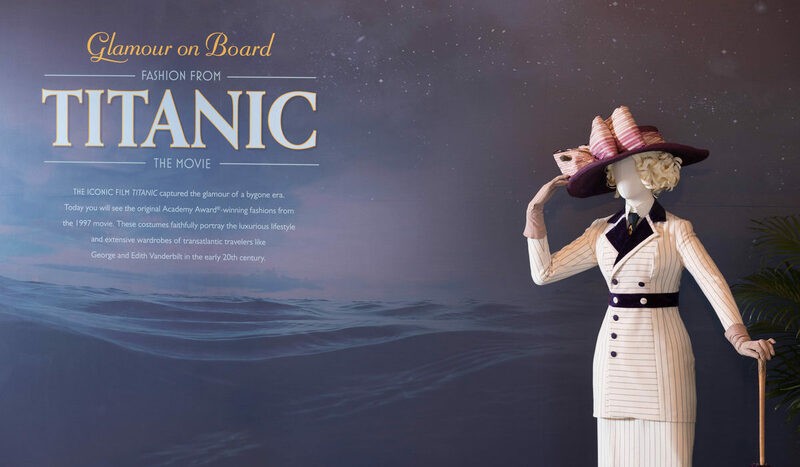 This “Titanic” exhibit connects the Vanderbilts to the time period during which they lived. Love stories intertwine with historical facts and the romance of the movie. You’ve got to visit to experience this in person. 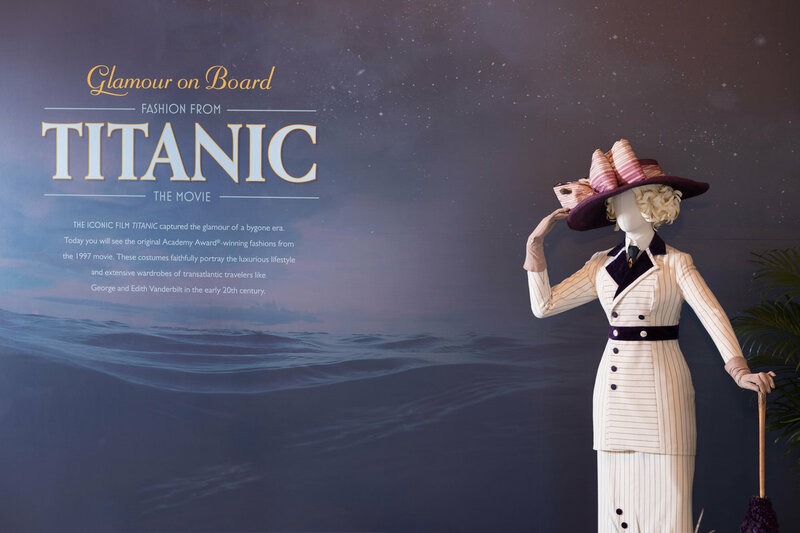 Admission to “Glamour on Board: Fashion from Titanic the Movie” is included in the general admission ticket price. 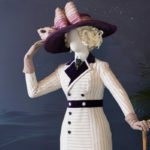 For more information about Biltmore, visit Biltmore.com/TitanicFashion. Located in Asheville, North Carolina, Biltmore was the vision of George W. Vanderbilt. 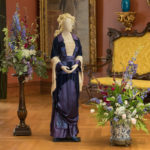 Designed by Richard Morris Hunt, America’s largest home is a 250-room French Renaissance chateau, exhibiting the Vanderbilt family’s original collection of furnishings, art and antiques. Biltmore estate encompasses more than 8,000 acres, including renowned gardens designed by Frederick Law Olmsted, the father of American landscape architecture. Today, Biltmore has grown to include Antler Hill Village, which features the award-winning Winery and Antler Hill Farm; The Inn on Biltmore Estate; Village Hotel on Biltmore Estate; Equestrian Center; numerous restaurants, event and meeting venues; and Biltmore For Your Home, the company’s licensed products division. To learn more about Biltmore, go to Biltmore.com or call 877-BILTMORE.